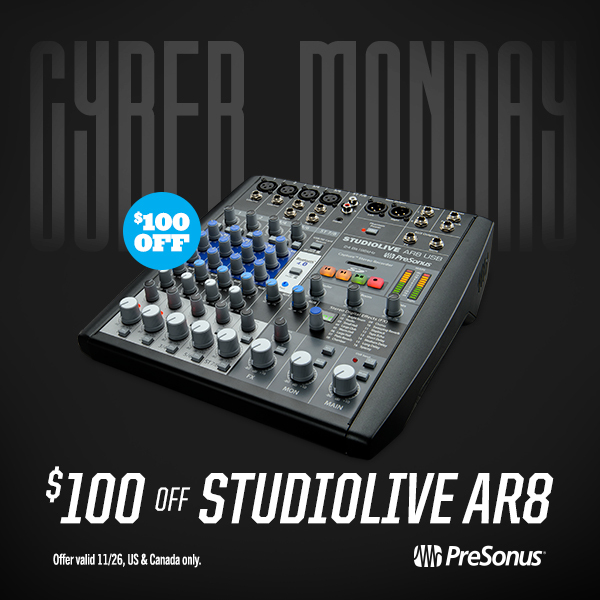 Cyber Monday DEAL – $100 Off StudioLive AR8! Save $100 when you buy a StudioLive AR8! Offer available in US and Canada. Comments Off on Cyber Monday DEAL – $100 Off StudioLive AR8! 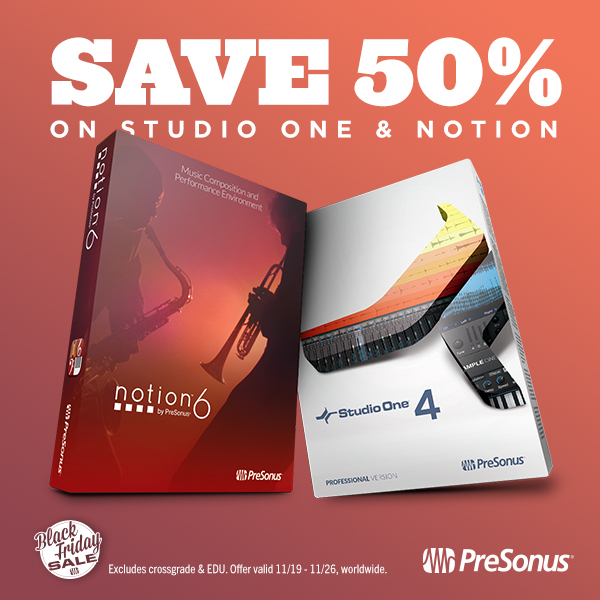 Black Friday 2018—50% Off Studio One, Notion, and Progression! 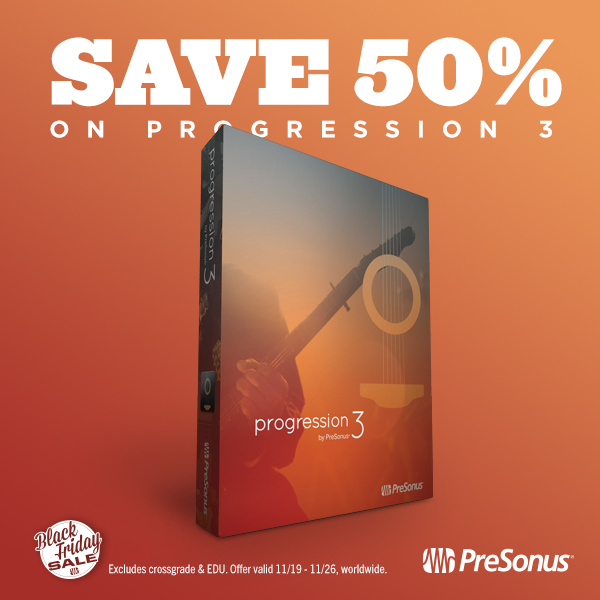 This offer includes upgrades but excludes crossgrades and EDU licensing—ends 11/26! 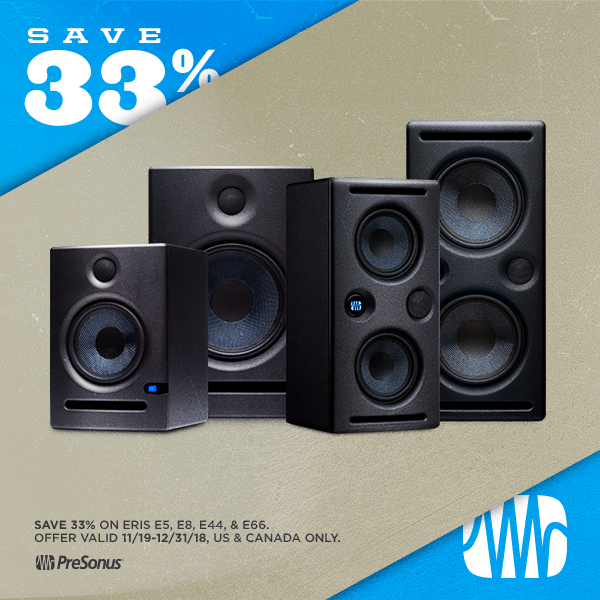 We’ve temporarily dropped the price of some Eris monitors in the USA and Canada; there’s never been a better time to get your own pair of our best-selling monitors! Hurry, this offer ends 12/31/18! The Price is RIGHT– Price Drop on Select Studio Series Interfaces! You found the right interface, now the price is even better! 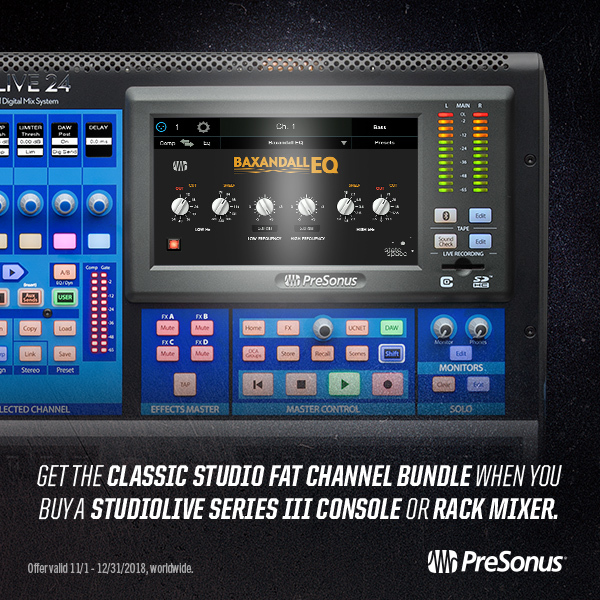 Now through the end of the year enjoy significant savings on several Studio Series interfaces! Note that regional pricing will vary slightly, but the below prices are in USD. 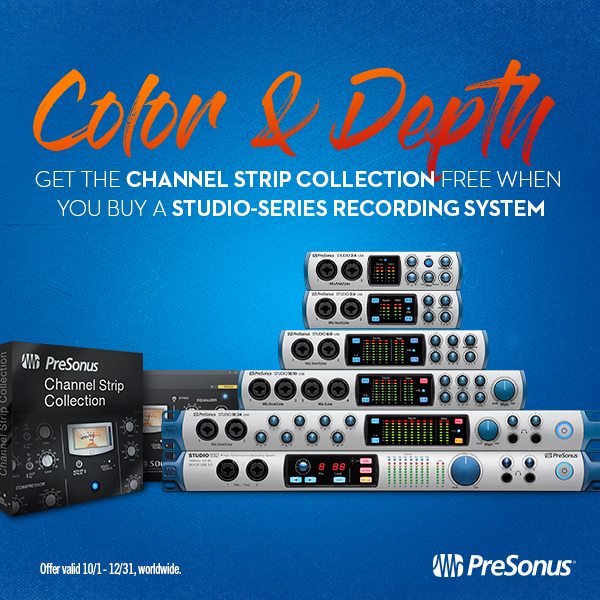 ALSO—for a limited time, buyers get the Channel Strip Collection for FREE until December 31, 2018–that’s an additional $80 in savings!! Read more about that here! Need help finding the right product in Audio Interfaces? No problem — just answer a few quick questions and our Product Finder will help you out! Find the perfect interface for you HERE! 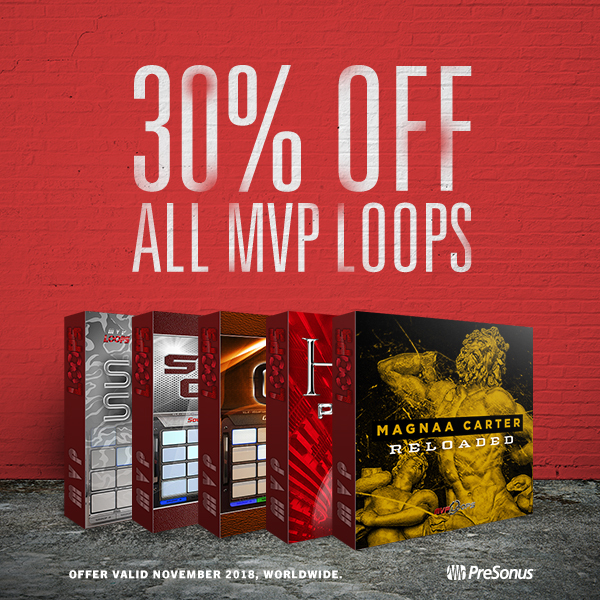 This offer is available worldwide and ends December 31, 2018. 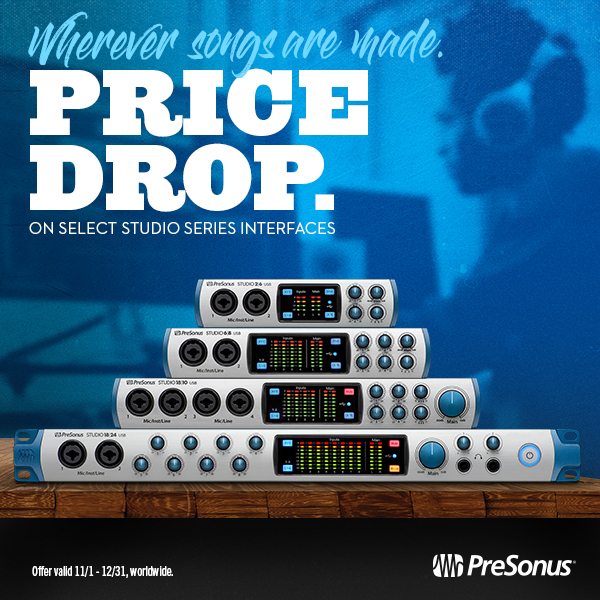 Comments Off on The Price is RIGHT– Price Drop on Select Studio Series Interfaces! FREE Monitor Station V2 with Purchase of R-Series Monitors! 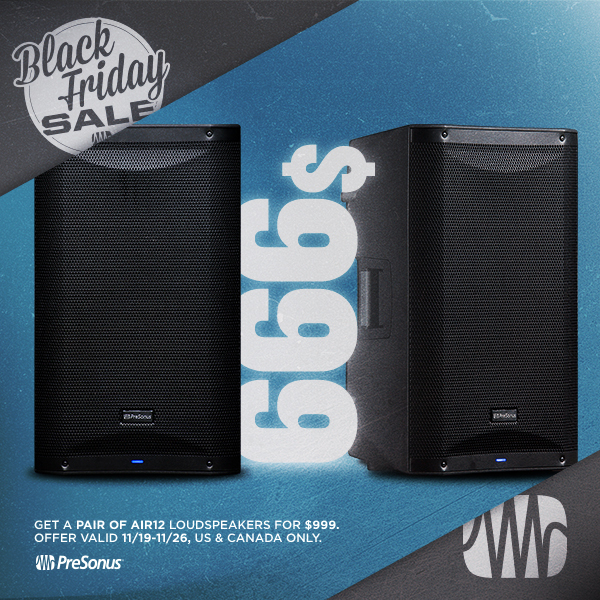 Starting today and ending December 31, score a FREE Monitor Station V2 when you purchase a pair of the R-Series Studio Monitors! The R65 and R80 feature a custom Air Motion Transformer (AMT) tweeter that responds to the subtlest waveforms and the highest frequencies. This allows you to hear the “air” and the greater sense of space that is characteristic of audiophile recordings. The R series’ transparent and highly accurate sound makes them ideal for use in both commercial and home recording studios as well as broadcast and post-production environments. Recently, Magnetic Magazine reviewed the Monitor Station V2 and gave it a 10/10!! It does exactly what it’s supposed to, and it executes it perfectly. It’s simple to use and fits perfectly into your current setup. It works so well, that you pretty much forget what it’s like not to have it. That’s when you know you have a real winner. And, it won’t break your bank. What more could one ask for? 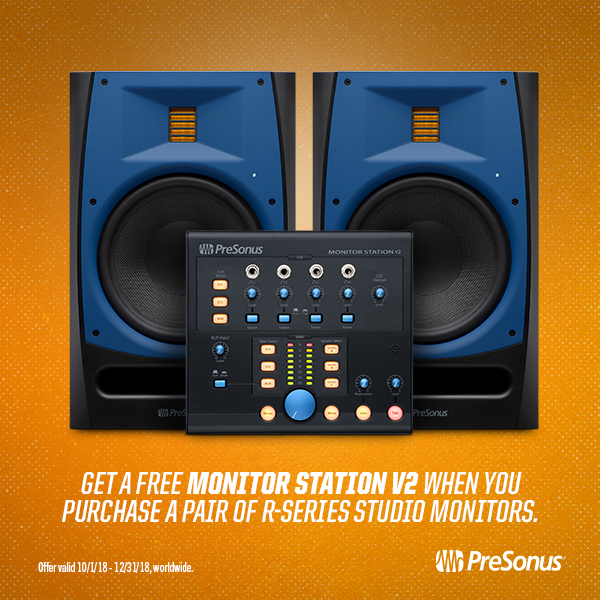 Just fill out the rebate and your Monitor Station will be home in no time!